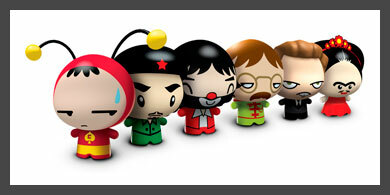 I came across these cute vinyl toys the other day and fell over in joy. I'm not much of a collector of toys, but these truly take me back to my childhood with familiar characters like 'Chapulin Colorado', 'Cepillin', and the Mexican heart-throb 'Luis Miguel'. These probably speak most to a Mexican/Latin American audience, but they also produce characterizations of Bruce Lee, Gene Simmons, and John Lennon. 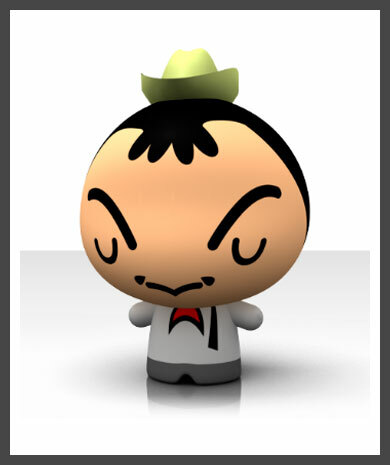 'Cantinflas' is another popular character produced by Corinthian Latinoamerica. Hello! I am glad you liked them! I was wondering if you bought them or just found them online. Hi Monero. I actually heard about them through my boyfriend, whose friend works at JJP&R and he mentioned it to him. I don't have any of them yet but I would love to get one...at least the Luis Miguel one! Yes, I did. Who's your boyfriend's friend? I believe his name is Stephen. Congrats on these, they're awesome. I'll be going to TJ this weekend and hopefully I'll find some. Are they available there? Of course, Stephen! 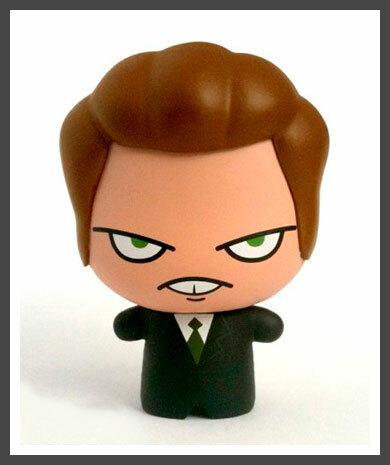 They should be available, but just in case you don't find them ask Stephen for one, he'll give you the LM one. These are the Dopest toys ever!!! Genuinely awesome! Im dying to get my hands on them... Where can I purchase them? Are they available on line or the US?? ?